← Even I would look good in an Electric Mirror! 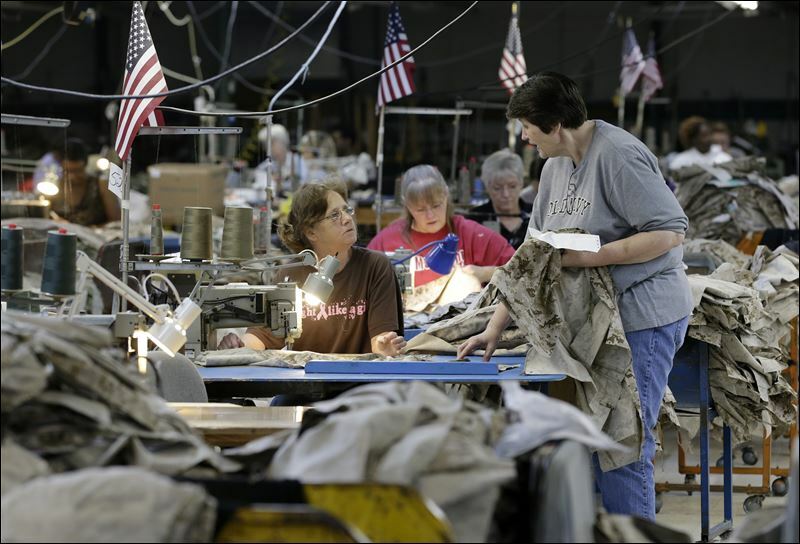 I am happy to report that we are seeing a rebirth of apparel manufacturing in America. Old American firms and new American firms are producing great clothing for us to add to our wardrobe. Firms like Homage, Mindful Supply, Dehen, Sympatico, or any of the hundreds of firms listed on my friend Jack A’s amazing blog. However, a roadblock of sorts has developed in this American apparel movement: a lack of trained seamstresses. But I recently read a wonderful story about how a college in Minneapolis is starting to churn out members of our extended American family who know their way around a sewing machine. Dunwoody College and Technology in the Twin Cities is now offering a seamstress training program whose students are being hired at wages of as much as $18 an hour even before they have their diplomas. What a great deal! So many people these days are talking about the need to pass “Living Wage” initiatives. Guess what? Just by purchasing goods made by people like Dunwoody’s new graduates, you can create your own “Living Wage ” effort. For the last three years I have been doing just that. I am usually sporting Jack Donnelly or Bill’s Khaki’s pants, Brooks Brothers shirts, Wigwam or Smart Wool socks, Allen Edmonds shoes and Allen Edmonds belts. When I have to dress up for court, I wear either my Hart Schaffner Marx or my Joseph Abboud suit. So when looking for clothes on your next shopping trip, look for the sewn in America label. Also, I would love to know about what apparel firms you are aware of in your home town. Please shoot me a comment about the local firms whose clothing you love to wear. This entry was posted in Apparel, blogs, Reshoring and tagged Allen Edmond, American made products, Bill's Khakis, Brooks Brothers, Dehen, Dunwoody College of Technology, Hart Schaffner Marx, Homage, Jack Donnelly Khakis, Joseph Abboud, Made in America, made in america apparel, Made in America clothing, made in america products, Made in the US, Made in the USA, Made in the USA products, MIndful Supply, sewing, sewing schools, sewing training programs, Smart Wool, Sympatico, Wigwam. Bookmark the permalink. That is a fantastic story. So many manufacturing jobs have been lost since 1981 that a lot of the skills needed to make anything manufactured have been lost. It is great to see a school teaching a trade. Your reference about the dropping of the age requirements in other countries may have said much more tactfully than I would have put it. I think that the American consumer should know that their clothing is made by an eight year olds. -Jack A.